New to Essential Oils? Not sure how to use essential oils? Stick with us! 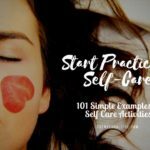 Because in this, you will get 4 easy ways or methods to make your essential oil journey superhit. Whether you want to make DIY cleaning supplies or use them for medicinal purpose. These 4 ways help you to navigate on the land of essential oils. Before we dig into those ways, let’s first introduce you with essential oils. Basically essential oils are highly concentrated liquids that come from the fruits, flowers, leaves, bark, roots, seeds, or peels. Did I say highly concentrated? Yes! It takes 100s-1000s of pounds of plant material to make a single pound of essential oil. Essential oils are volatile in nature, they also have soothing and healing properties. There are more than 100 types of different essential oils, can be categorized by their aroma, flavor, source etc. Every oil has their own characteristics and effects. People have been using these powerful natural liquids since ancient times. And still, in the modern days, you can use them for a variety of different purposes and benefits. Essential Oils are widely used to improve physical, emotional and mental health. 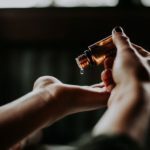 Literally essential oils cover almost every area of life; from your bathroom to kitchen cabinet, skin care to home cleaning or stop allergies to germ-fighting etc. 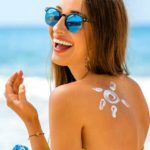 Top 4 Ways to Use Essential Oils? 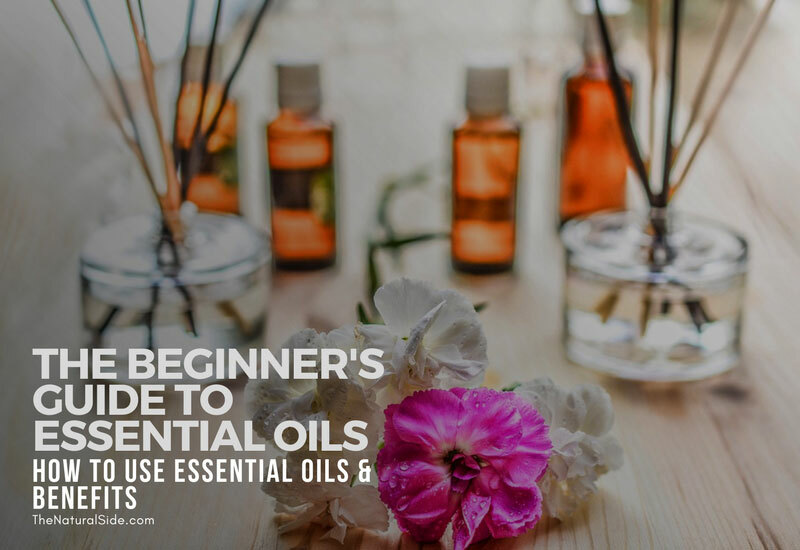 Basically, there can be a number of different ways to use essential oils but these four methods are the basics of all of them. These simple uses of essential oils make great benefits in your daily life. It is always said that essential oils always less are more. Because they are too strong and potent, we can’t use them directly. Always remember to use essential oils safely. There are mainly four ways to use essential oils. 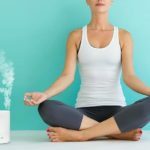 Diffusing is one of the best ways to enjoy the aromatherapy benefits of essential oils. It is completed with the help of a device called diffuser that designed for this job. You can buy a diffuser from Amazon, starting at just about $20. Currently, I’m using this Artnaturals Essential Oil Diffuser. And it works superbly. You can use this diffuser anywhere in your house, even in your baby’s room. Plus it is super quiet. Just put some water and a few drops of essential oil, then plug in and see the magic in the air. This magic improves the air quality, make it smells good and also benefits your body & mind as well. For diffusion, peppermint, lavender, cedarwood, and lemon essential oils are some of the popular choices that scent mind blossom. There are quite a few essential oils that are safe for ingestion, as well as those that not recommended for ingestion. Here are three ways to safely ingest the essential oils. First, you can drink them in water, tea or in honey. For an example, add a drop of peppermint oil to a glass of water to ease stomach upset. Second, you can cook with them to take advantage of the beneficial essential oil flavors. For an example, you can use basil oil in tomato sauce. Third, you can put a drop of Peppermint directly under your tongue that will freshen your breath. Dilution is one of the easiest ways to use the essential oils topically. For this, you don’t need to buy any kind of device, just use your favorite oils with some base ingredients. Pure essential oils are highly concentrated and need to be diluted for safe, topical use, usually with water or carrier oil such as coconut oil. But remember essential oils should never be applied to the eyes or inside the ears. 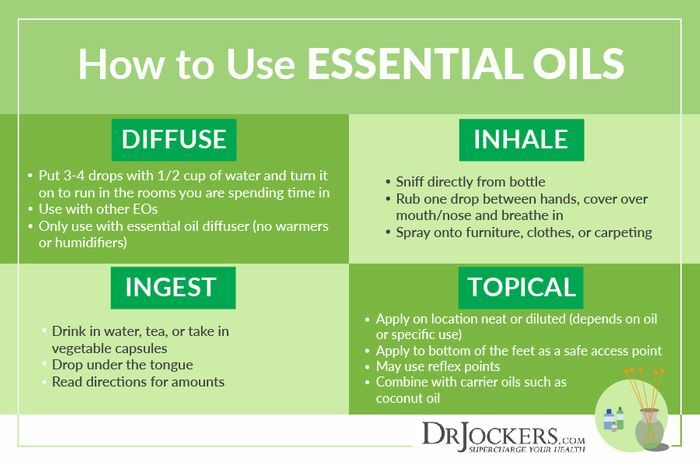 Here are a few ways to use essential oil topically. Roller bottles make topical application of essential oils simple. They are inexpensive and you can even carry them in your purse. A roller bottle is a glass bottle (usually 10ml) which contains a liquid mix of essential oils and carrier oils with a roller on top. Easy roller bottle recipe: 10-15 drops of essential oils to 10ml roller bottle. You can buy 10 ml Amber glass roller bottles on Amazon. Essential oils can make your homemade products more doable. 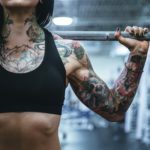 There are huge varieties of products that you can make your own to replace those toxic chemical products. From kitchen supplies to cleaning supplies and beauty to skin care products. Just simply dilute the essential oils with water (and Epsom salt) in the spray bottle. Then, spray this water directly in your living space or workplace to get the oil benefits. Most essential oils are safe to inhale. You can inhale or sniff an essential oil directly from a bottle, a handkerchief or a cotton ball. Julia wrote a detailed post on the science behind inhaling essential oils and their benefits. When I started, I usually bought oils from Amazon and tried a number of different companies. There are not too many differences in these companies but still, plant therapy is my personal favorite. I’m still using Plant Therapy Essential Oils and they work perfectly for me. As you know, essential oil comes in a wide variety. But you don’t have to buy them all at once, just start with some popular ones like lavender, lemon, peppermint, frankincense, clove. You can start with their Plant Therapy essential Oil Starter set which has top 6 popular essential oils. These oils are therapeutic grade and come without additives, adulterants, and dilutions.